So here are a couple of photos to give you an idea of what Jordan Heights looks like. I didn’t take that many photos, largely because my phone ran out of battery before the end of the weekend. 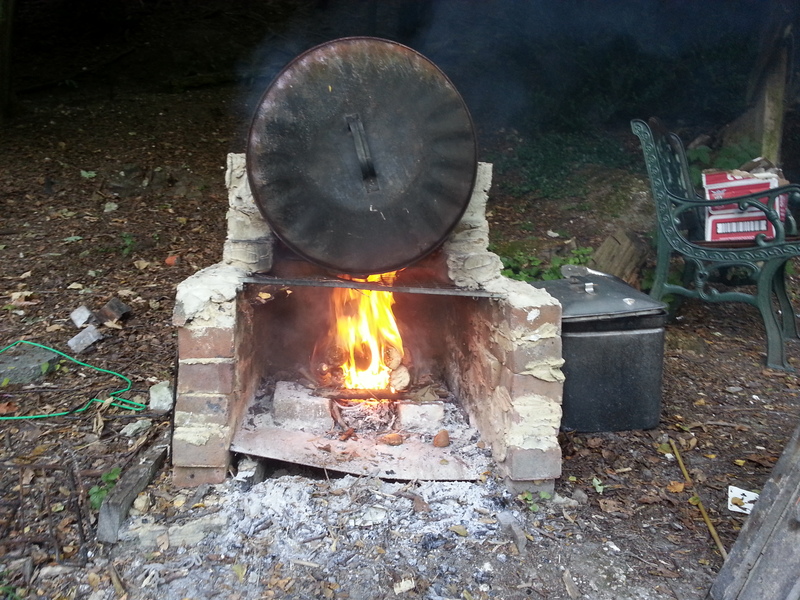 So this is the pizza oven, made from a metal dustbin with racking inside. It’s just outside the covered area with a bespoke raised fire pit. The picture doesn’t show the door for the front, it was a wooden door lined with a metal plate and with a couple of handles to make it easy to move back and forth. When it was on it kept the heat from escaping from the front. I kept it off while I was getting the fire lit. I spent the weekend telling the boys that they’d been eating food out of the bins! It worked amazingly well, except for when I put more wood in under it because it seemed to be slowing down the cooking time. I should probably have stopped cooking the pizzas for ten minutes then. My camp scarf (see the first part of this) shows the four burnt pizzas on the back! 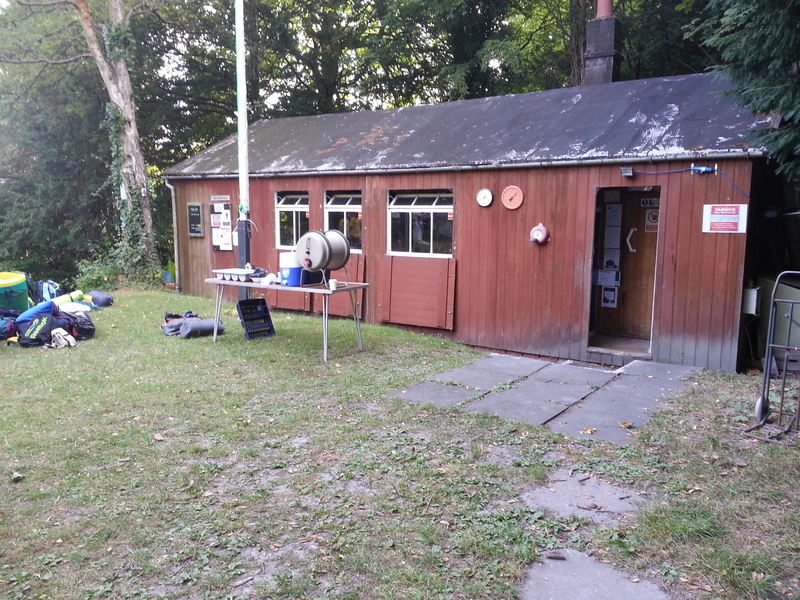 Our other facility was the scout hut, which was useful for storage. The hut was big enough to get a couple of tables set up along it, which was handy as we used it for breakfast for the cubs on Saturday morning when it was still raining lightly. I also gave us room for the cubs (and leaders) to design their own scarves for the camp. Mostly though we did things outdoors and just brought the stuff out of the hut onto the grass in front, as you can see from the picutre which has the washing up and drinks station on it.